Solar panels can provide up to 70% of a homes annual hot water requirements when sized correctly. For a home with an existing conventional boiler a new twin coil cylinder can be installed as part of the project. 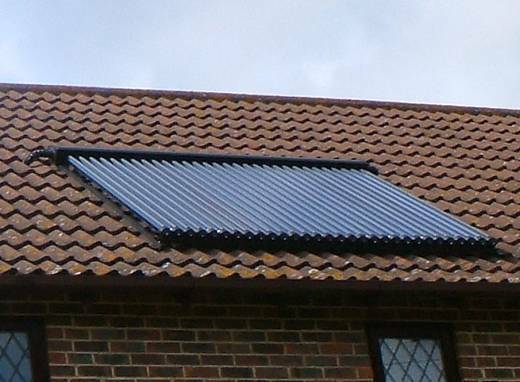 Solar thermal panels can also be installed in homes with a combi boiler by installing a pre heat cylinder. Good Property Services Ltd offer both Evacuated Tube and Flat Plate collectors in a variety of sizes to suit the requirements of the building. To receive the proposed Renewable Heat Incentive the installation must be undertaken by an MCS approved company using MCS approved equipment. We do not employ salesmen, we only employ quality registered tradesmen and around 80% of our work is via recommendations from existing customers. We can provide you with a detailed quotation following a full site survey. Not every property is suitable for solar thermal so we would recommend a full site survey, which takes around two hours and is FREE.